After parting again to continue my journey, my next stop was Milano for the evening after a rather short train ride from Torino. 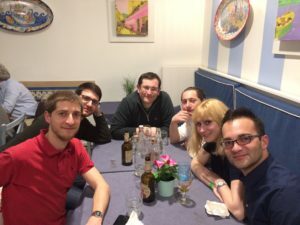 We spent a nice dinner together with some of the Board members and the active members of AEGEE-Milano, when we discussed several topics: first of all, how to manage a local next to having a full-time job, as the majority of the members and the Board are already working in a full-time position, and they organise their events and activities next to their jobs. Second, we also talked about the upcoming Summer University of AEGEE-Milano, with AEGEE-Bologna, AEGEE-Treviso, AEGEE-Pisa and AEGEE-Bari. It will be the first Summer University in Milano after a long time, thus providing an opportunity, but also a challenge at the same time for all the locals, as the SU will cover both the Northern and Southern part of Italy. 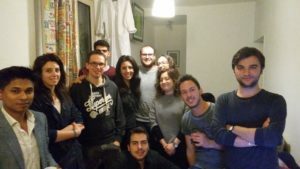 We also discussed how recruitment faces challenges in big international cities such as Milano, where there are many opportunities and huge competition regarding students’ organisations and NGOs – again we agreed that the power of people and having a friendly environment can keep the members within AEGEE. Last, but not least, I mentioned some opportunities for Erasmus+ and how the locals can use the programme for their activities. 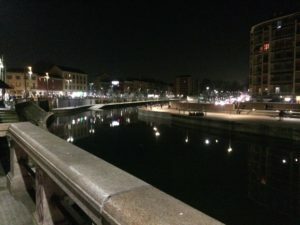 The evening continued with a special night edition of the city tour in Milano where the guys showed me the city centre in a nutshell – it was a really special experience as I was able to get a less touristic view of the city and more the inhabitants’ perspective of the sights and the nightlife. The next day started with packing and departing as usual for the next stop, Brescia – but not before getting useful tips about how to cook pasta the best way [She smiles, ed.]. After very long travels to Leon and Torino, and after talks and activities with those locals, it is time for shorter travels. The third local I visited was AEGEE-Firenze. 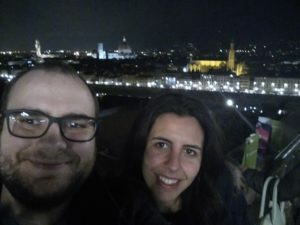 Shortly after I arrived to the city, I met with Marella, president of AEGEE-Firenze. After a conversation with her and a city tour around the beautiful city of Firenze, we met with the rest of the members. AEGEE-Firenze has around 100 members, but we discussed that not that many members of the local are active. Firstly, we started discussing potential solutions on how to tackle this problem and involve more people, because this is not something that is universal and that is not easy to implement. 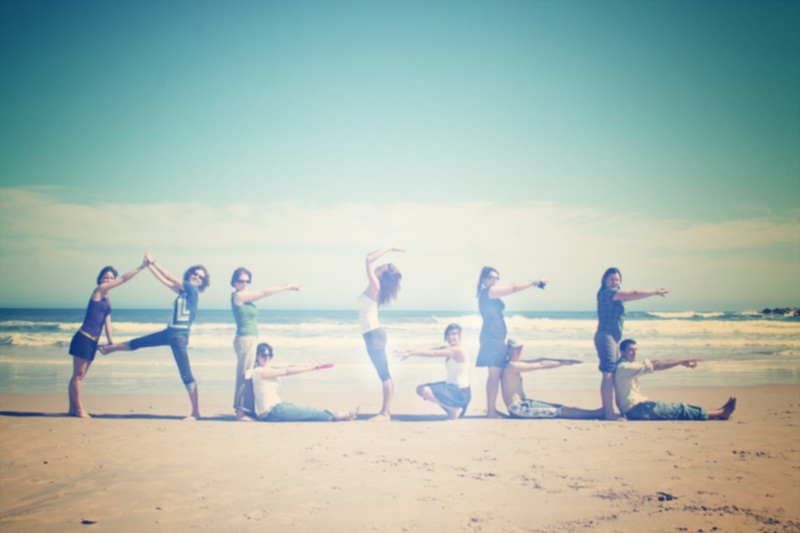 The local is doing quite a lot activities with Erasmus students in the University, such as parties, trips and other local activities. In the group there were also Isidora and Nico, presidents of AEGEE-Beograd and AEGEE-Pisa, but two potential members of AEGEE-Firenze, too. We all shared our experiences: why we joined, what motivate us to work in AEGEE, and we manage to get two new members for AEGEE-Firenze. Guys, welcome in our big family! Lastly, we concluded our meeting with a chat with Marella, Nico and Gabriele about the structure of AEGEE, antenna criteria, and how we can make our structure more flexible regarding decision-making and engaging for members, concerning Network Meetings, European Planning Meeting and Agoras. You can also check the interview with Marella and see what she has to say about AEGEE and what is her message for you! The next local that I will visit is AEGEE-Bologna, so stay tuned for more information from them.